Basily Infuser Water Bottle $6.37 + FREE Shipping with Prime! You are here: Home / Great Deals / Amazon Deals / Basily Infuser Water Bottle $6.37 + FREE Shipping with Prime! Head over to Amazon and get the Basily Infuser Water Bottle in Blue for only $6.97 after you enter promo code BCKZ435M. Shipping will be FREE with Amazon Prime or an order of $35 or more. EASY TO USE: Water + Fruit/Flavor of your choice + *SHAKE* = Your Infused Masterpiece. That simple! 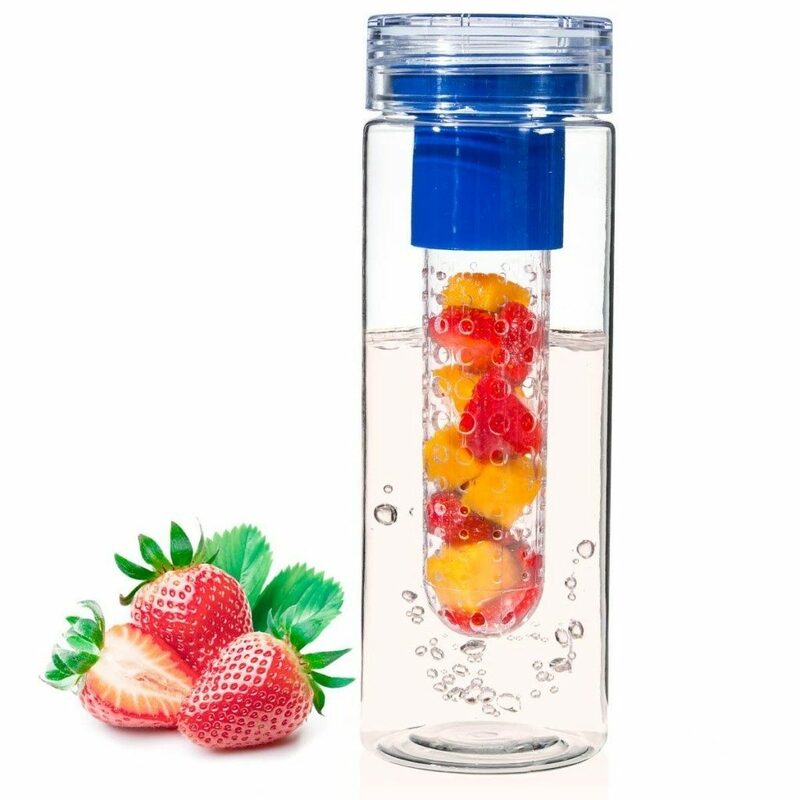 Add strawberries, mangos, kiwis, limes, lemons and many more to the infuser capsule, fill up the bottle with water, and make sure to shake thoroughly! Flavored water as natural as you can possibly have it.?? GREAT FOR YOU AND THE ENVIRONMENT: Use fresh fruit of your choice to ensure you’re getting fresh and natural flavor into your infuser. No need to read labels about other sugar and/or chemical contents those other beverages might have. YOU choose what YOU put in your beverage. Our bottles are also BPA free, meaning we don’t use plastic containers that may contain chemicals and toxins that are harmful to you and the environment.?? SAVE MONEY: No need to buy bottled beverages for ridiculous prices at the store. Eliminate the need to buy heavy cases of water from your local grocer. The Basily Water infuser can be reused over and over! Easy to clean and dishwasher friendly. STAY HYDRATED: Perfect for packing along on long hikes and heavy workouts at the gym. Keep yourself hydrated with your own mixed recipes. Great for bringing to the office or family trips. Take your healthy delicious beverage just about anywhere.